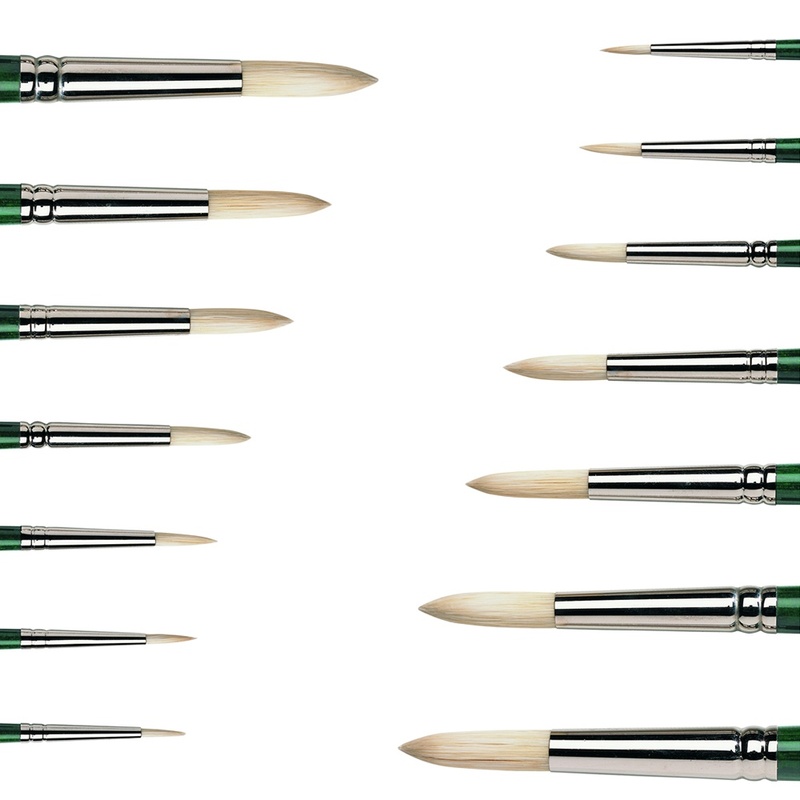 Artists Hog is Winsor & Newtons highest quality hog brush and provides a level of performance that is unrivalled. It is made from the finest materials with the highest level of craftsmanship, and achieves the degree of sensitivity demanded by discerning artists. Showing 2 Winsor & Newton Winton Hog Brush* reviews. Average rating of Very Good. Would you like to write a review? Great value in the buy one get one free sale. This brush seems of good quality, although I haven't used it yet. It was larger than I expected though, because I don't know what 'size 12', 'size 18' etc actually means! It would be helpful as a beginner to have the measurements in mm or a photo showing the brush in someone's hand to give a sense of scale. But the brush itself looks good.